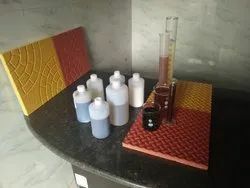 Our organization has successfully expanded its business in market owing to the offered elevated quality array ofInterlocking Tiles Hardener Chemical. It is one of the best chemical in industries which is based on polycarbonate which provides your tiles a fast setting and good heatness. 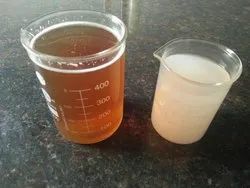 The offered chemical is precisely processed using supreme quality chemicals and sophisticated processing techniques in compliance with international quality standards. Our quality experts firmly test this chemical to ensure optimum quality and purity. Furthermore, we offer this chemical in various packaging option at reasonable prices. we have three type of varity of chemical hardner like: Pc-base, Melamin base, Napthalene base etc. Local experience, Global expertise is the motto followed by the company to provide latest trends and products systems to the Indian construction Industry. The sales and support is provided by well qualified engineers, trained in India and abroad and also include expatriate technical experts employed in India. We have been pioneer in introduction of latest generation concrete admixtures for self-compacting concrete, alkali free accelerators for sprayed concrete and polyurethane concrete floors for highest level of ruggedness hygiene maintenance. we are manufacturers of Concrete Chemical Admixture.Chemical admixtures are the ingredients in concrete other than portland cement, water, and aggregate that are added to the mix immediately before or during mixing. Producers use admixtures primarily to reduce the cost of concrete construction; to modify the properties of hardened concrete; to ensure the quality of concrete during mixing, transporting, placing, and curing; and to overcome certain emergencies during concrete operations. R K TILES MACHINERY manufacturers of chemical hardener for cement concrete & paver blocks interlocking tiles and fly ash brick , cement brick and all concrete application since 1998. 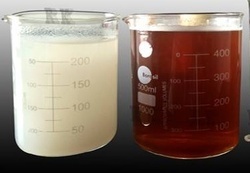 We are the manufacturers and suppliers of Super Plasticizer Admixture.These Polycarboxylate Ether Superplasticizer are maintained over extended periods of time compared to conventional plasticizers, such as sulfonated naphthalene/melamine formaldehyde condensates, where flow properties and workability tend to deteriorate significantly over time. CONFLOW-CP is a polycarboxylate based advanced superplasticizer for use in cementitious systems, particularly "low" or "no" slump mixtures. RK TILE MACHINERY is manufacturer of high quality clear acrylic lacuqer coating for applying on ,Cement Concrete Block, Paver block, Reflective interlocking glossy block and used for concrete curing application as per the following specification Hand crafted Wet cast eventually lacquer coated for sleek glossy looks, livelier colours and protection from sun lighting and water repellent. our coating is scrath proof coating and as gloosy you can not get on pavers tiles by hand polish but more than gloosy you can get by polishing with the help of air-gun compressor machine. we have own technic and formulation of applying lacquer coating on tiles WE use air gun compressor machine for tile polishing by spray and it provide your tiles high glossy look and you can also use hand polish as other company use we have shown every thing in these images which are uploaded on our websites. we have three type of lacquer coating for more contact us. Bayferroxª Synthetic Iron Oxide Pigments are one of the most popular color pigments worldwide for coloring concrete. 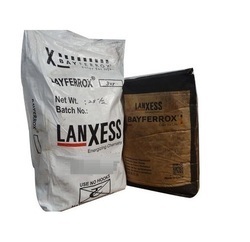 Bayferrox is suitable for all types of concrete products, including ready-mixed and Architectural Concrete, Concrete Blocks, Bricks And Paving Stones, Concrete Roofing Tiles, Segmental Retaining Wall Units, Architectural Pre-cast Products, Colored Mortar Cement, Stucco And Grout. New applications are always being developed. 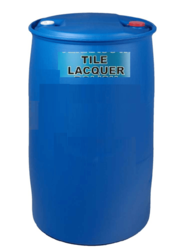 We are the manufacturers and suppliers of Tile Lacquers & Water based Tile Lacquer. Our organization is highly acclaimed for offering Polycarboxylate Ether Superplasticizer. It is widely used to enhance the plasticity or fluidity of the concrete and to increase its strength. The offered chemical is processed under the supervision of our quality experts by utilizing optimum quality chemical compounds and sophisticated technology at par with industry quality standards. 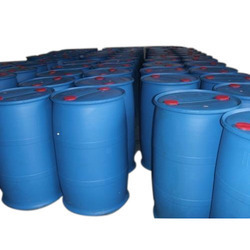 This chemical is widely demanded among clients for its salient feature. Moreover, our clients can avail the offered chemical from us at market leading prices. Quick Cure is a Paver Block Chemical Hardener use in rubber mould paver block for the decrease the period of a settling of mould and admixture of concrete mix. The extensive range of Rubber Mold Paver Block Tiles, we manufacture are highly appreciated among our clients for their customized option. These products are extensively used for the transportation of liquids and gas for easy consumption. Polycarboxylate Ether SuperplasticizerChemical admixtures are the ingredients in concrete other than portland cement, water, and aggregate that are added to the mix immediately before or during mixing. Producers use admixtures primarily to reduce the cost of concrete construction; to modify the properties of hardened concrete; to ensure the quality of concrete during mixing, transporting, placing, and curing; and to overcome certain emergencies during concrete operations.